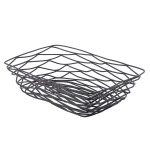 This beautifully constructed Tablecraft Artisan collection wire serving basket is a unique way to serve basket meals, appetizers, breads and more! 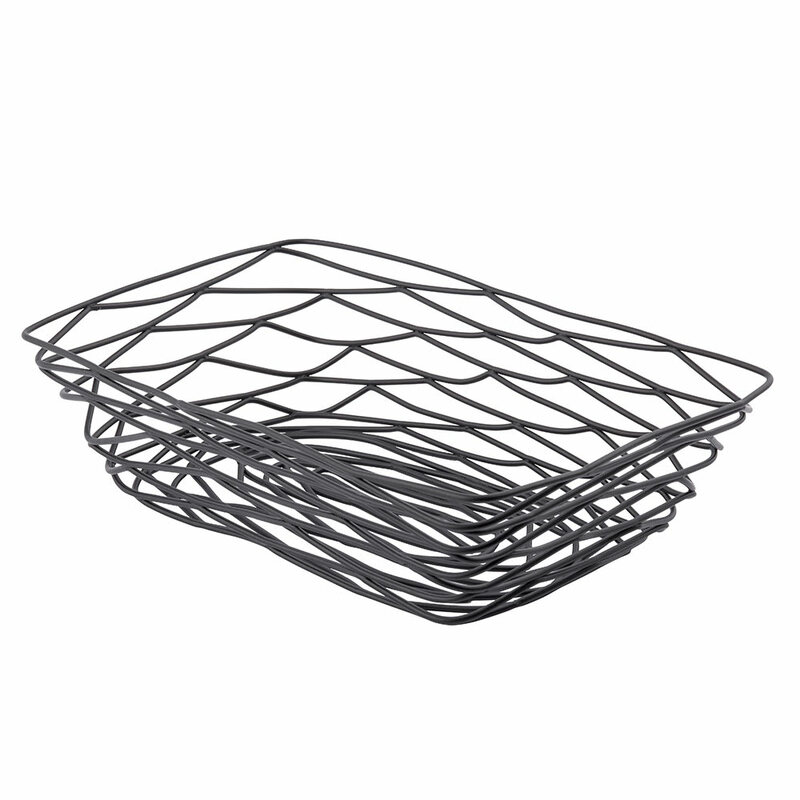 Rectangular in shape for easy handling and space efficiency, this wire serving basket adds a touch of high end style to any tabletop. Measuring 9" x 6" x 2.5", this metal serving basket is the perfect size for a variety of appetizers and finger foods. The powder coated metal construction has a black finish that looks attractive and professional in any setting. Artisan Collection Basket, 9 in x 6 in x 2.5 in, Rectangular, powder coated metal, black.